This is a good art project for imaginative children. Young children will enjoy learning to work with glue. 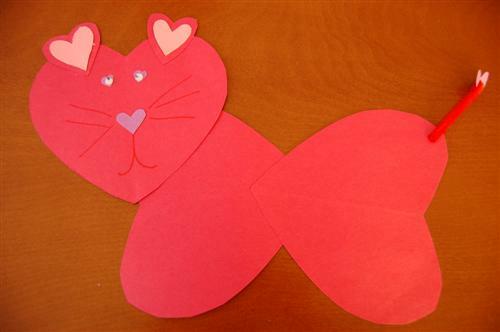 Older children can practice their cutting skills by making hearts. 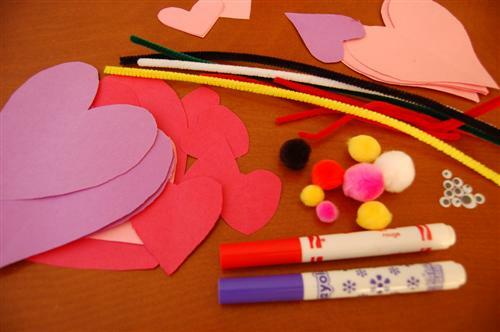 Glue together hearts to make and animal shape. Use small hearts for eyes. 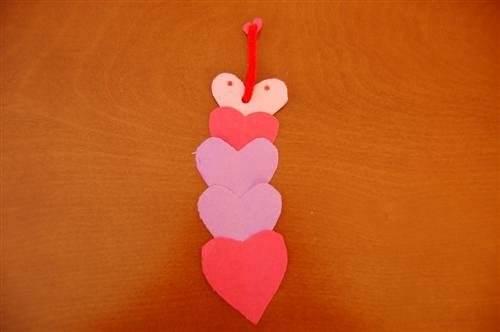 Glue hearts together to make tails. Add additional craft materials to finish it off if desired. 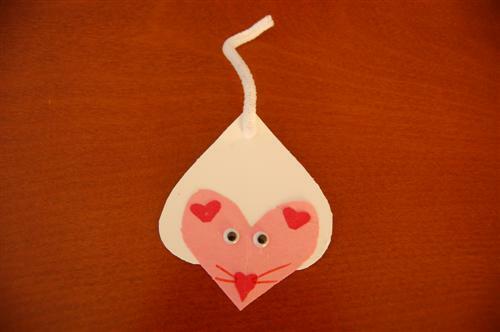 Mouse- glue the bumpy side of a small heart to the bumpy side of a medium heart to make a mouse. Glue on very small hearts in the small heart to make a nose and eyes. Add yarn whiskers and a tail. Cat-Use a large heart as face. Add small hearts for ears, eyes, and nose. Draw on mouth and whiskers.